As far as things on the sewing front: they were slow, to say the least, in January. Nothing like a new month to remind you what you didn’t do last month. Blah. I spent the early part of the month in a serious no sewing loss of sewing mojo. It has only returned to a moderate level. I’m fairly certain that a major clean and reorganization of my sewing room would help, but I’m sort of dreading that task! I did manage a few sewing projects, though. As well as some sewing related projects that were exclusively digital. I’ve got all the blocks planned out for the Road Trip Quilt Along this summer. 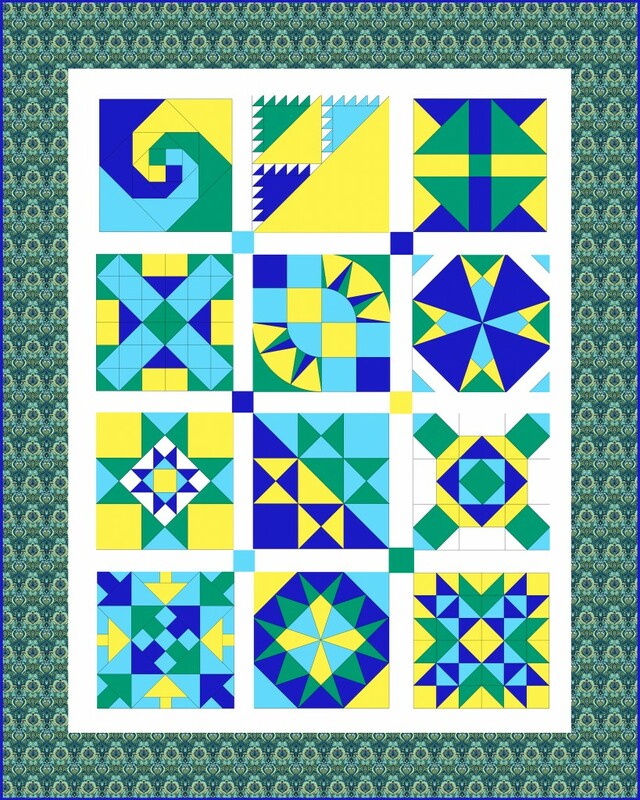 I think they will make a nice little sampler quilt! 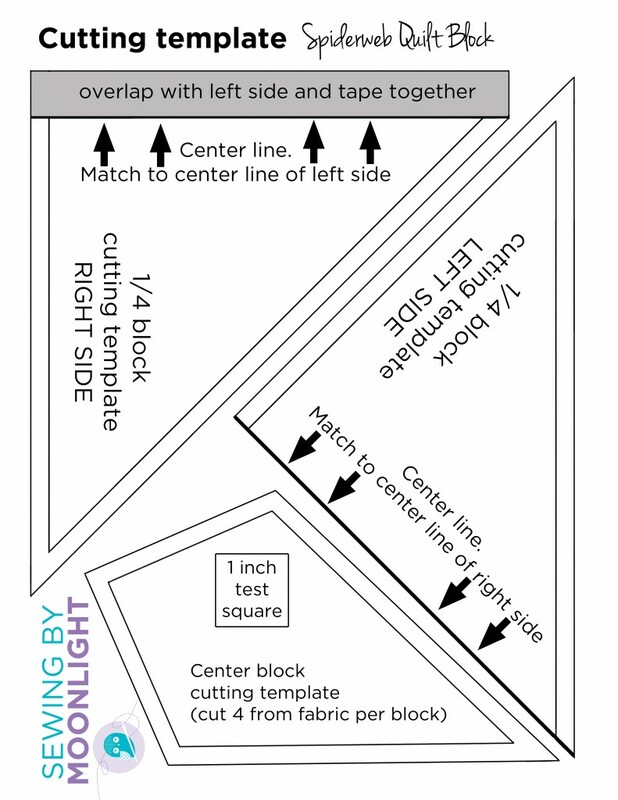 I made my first printable PDF for a quilt block. This one is to go with my tutorial for the Spiderweb quilt block. I finally finished the top of the quilt from the free form robin I participated in last year. I can’t wait to finish this one! 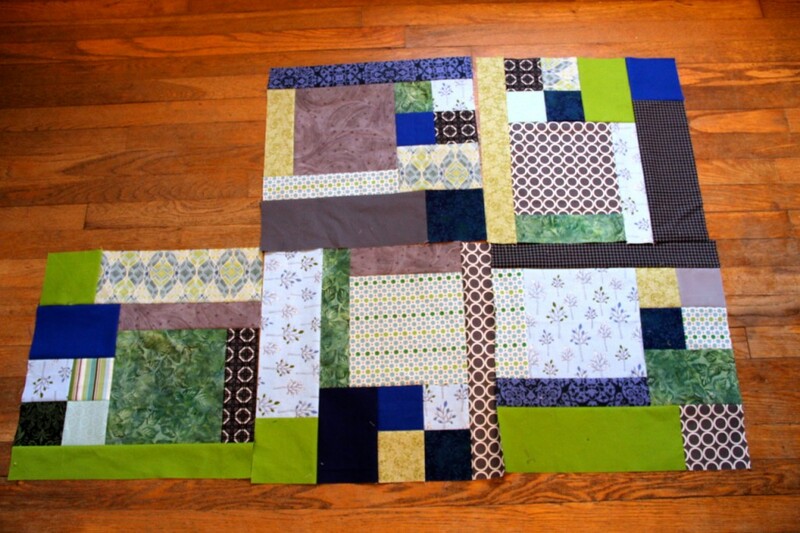 I have a few more blocks for Brian’s quilt finished. I really need to get this put together! 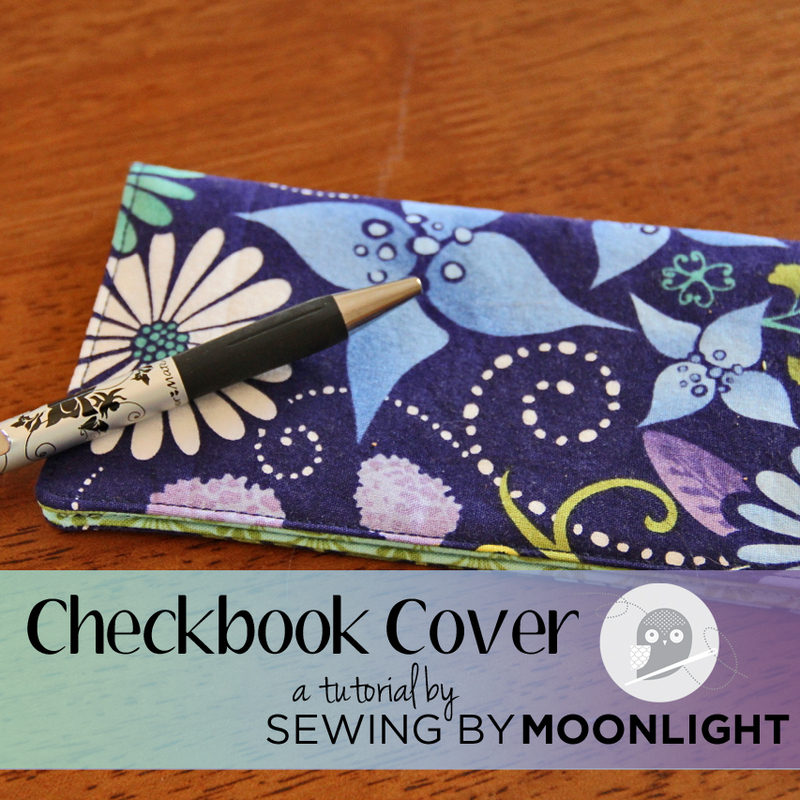 And I wrote a tutorial for a pretty little checkbook cover. I also have finished bee blocks that will go in the mail today and have been practicing free motion quilting by working on quilting my Road Trip Quilt Along Sampler quilt from last summer. So, that’s it. No real finishes per say. Leaves me something to strive for I guess. At least you are making progress. I will be there in 48 days! Wow! Wow! That road trip quilt along looks great! And thanks for the pattern for the spiderweb quilt! I’ve been wanting to try it! I still think you have been quite productive 🙂 And I love the blocks in the Road Trip quilt a long. You’re supposed to be nesting, so cleaning your sewing room should be right in line with that. 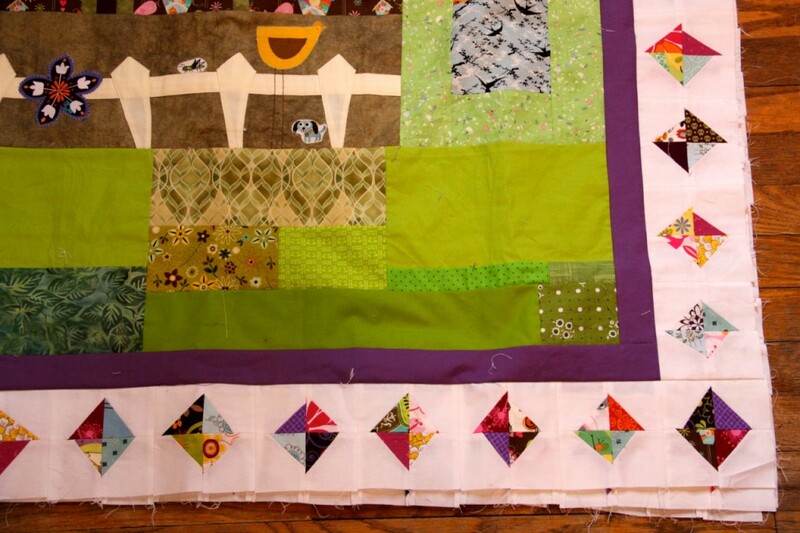 The road quilt along looks spectacular and thanks for the pattern.Have a fun weekend! !